Eclectic/Foursquare. 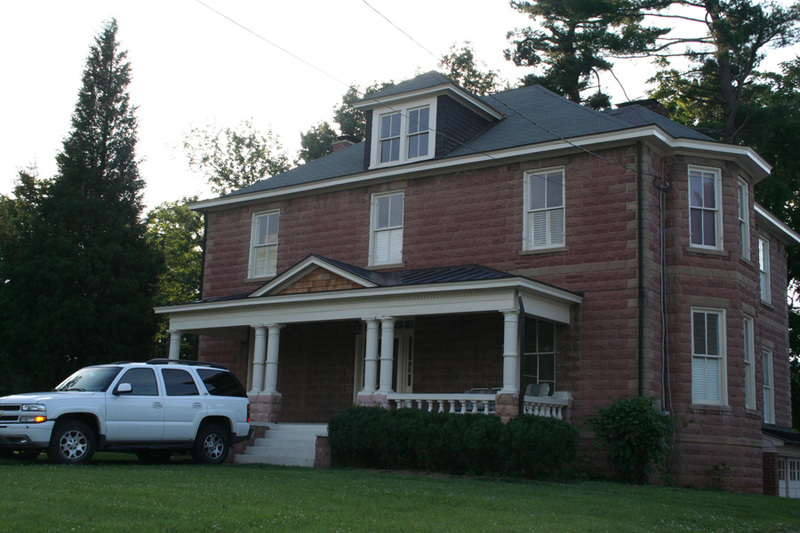 2 1/2-story, 3-bay hip-roofed frame house with Queen Anne features and rusticated red sandstone walls. House has quoins and beltcourse of contrasting stone. 1-story porch has paired stone columns and stone balustrade. A 1-story, wood-shingled sleeping porch is on the west. A 2-story bay is located on the east with a hipped roof and three windows on each story. A very unusual stone house, even more unusual is the use of rusticated red sandstone. House was built for the Gish family and often visited by silent-screen stars Lillian & Dorothy Gish.